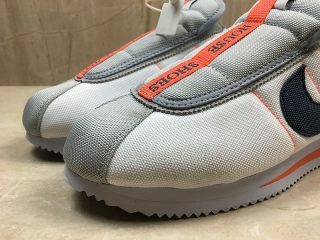 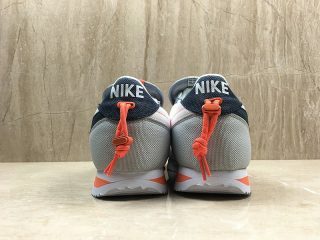 Coming with a predominately white upper, this sneaker is then contrasted perfectly by orange hits on the midsole, stitching and tongue details.Rounded off with grey panels and a deep navy Swoosh, the colour palette is clean and minimal, allowing the silhouette to truly stand out. 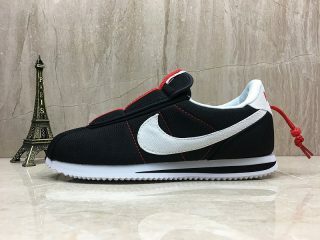 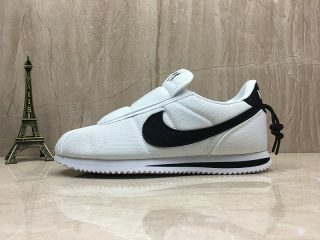 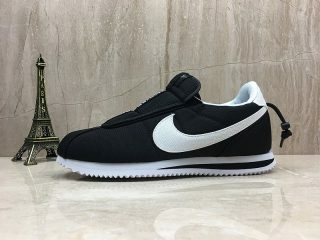 Rather than the traditional lacing system, this Cortez has been updated with laceless design. The Slip-on sneaker is a welcome addition to the Cortez lineage. 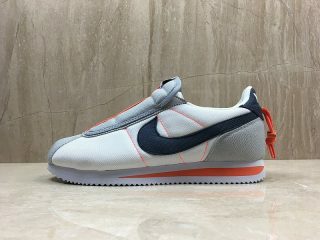 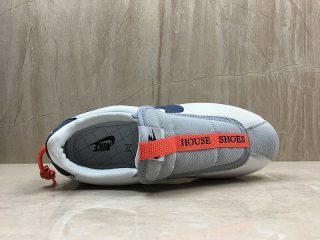 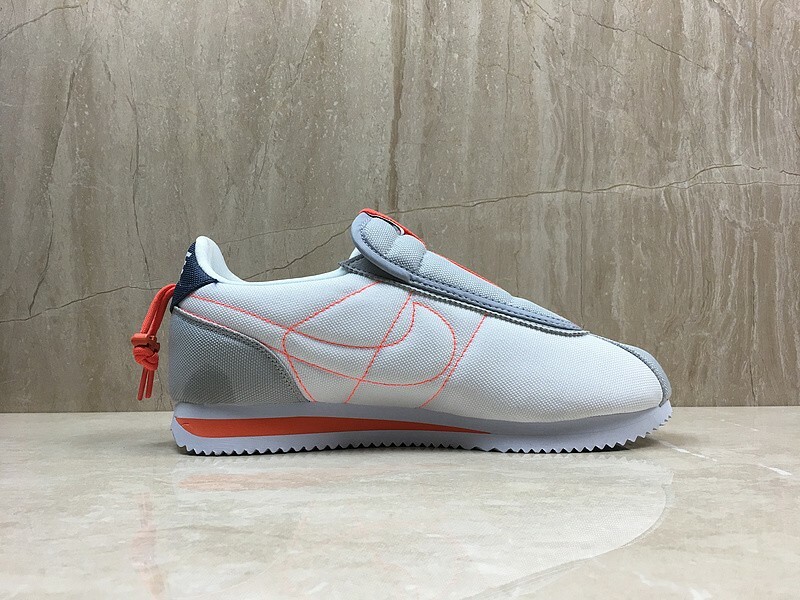 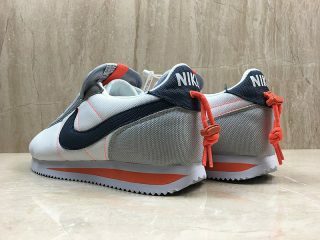 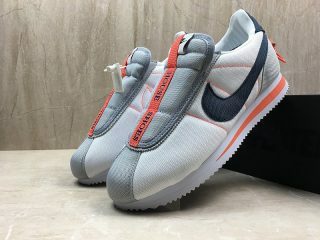 Rounded off with ‘House Shoe’ on the orange strap, this sneaker gives of a LA vibe that Kendrick is known for.